Universities across Iran have announced that almost 80 subjects in both the liberal arts and sciences will be off limits to incoming female scholars. Female students learned of the bans, which will affect 77 fields across 36 universities, in letters received throughout the past couple of weeks, according to the Telegraph. Women in Iran are subject to many cultural restrictions. As the Atlantic explains, segregation in the public sector is commonplace and women have to adhere to strict clothing laws. But in the classroom, girls have had the upper hand. According to the latest data from the U.N.'s Educational Scientific and Cultural Organization (UNESCO), 52 percent of all Iranian undergrads in 2009 were women. In the sciences, female contributions were even more pronounced, with women making up 68 percent of all graduates. Some sociologists have credited the growing academic success of women to a supportive shift in the way religiously conservative families viewed their daughters' need for education after the 1979 revolution, the Telegraph reports. But senior clerics, the story said, have become concerned that rising educational standards among women may be contributing to a decline in birth and marriage rates. Given these academic achievements, and the worries of some influential religious leaders, some see the new ban as an attempt to weaken Iran's fledgling feminism movement. Nobel Peace laureate Shirin Ebadi certainly thinks so. 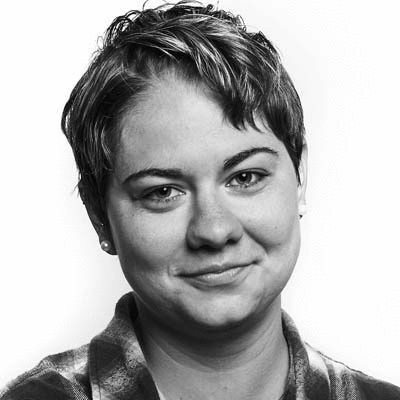 In an open letter to the United Nations dated Aug. 17, the exiled 2003 Peace Prize winner wrote, "The gender segregation policy... suggest the imposition of a patriarchal culture that aims to strengthen the role of women at home and within the family unit in order to undermine their important function in society." According to Radio Zamaneh, a plan to segregate students by gender was scrapped last year after President Mahmoud Ahmadinejad told the Ministers of Science and Health to abandon the move, which was supposed to help refocus Iranian undergrads on Islamic values. Ahmadinejad has yet to publicly weigh in on the most recent controversy. Gholamrez Rashed, head of the University of Petroleum Technology, told Mehr news agency on Tuesday that his school would not be needing the contributions of any female students. Bloomberg reports that difficult working conditions in the country's oil industry were Rashed's main reason for not admitting women. Meanwhile Mohammad Hossein Ramesht, the chancellor of the University of Isfahan, said high unemployment rates among women in science justified the ban. Radio Zamaneh had a different theory, however. The Amsterdam-based, Persian-language radio station instead blamed Iranian Supreme Leader Ayatollah Khamenei, who ever since the 2009 elections protests, has "pointed the finger at universities as the breeding ground for subversive behaviour and called for a greater focus on Islamic principles in universities." 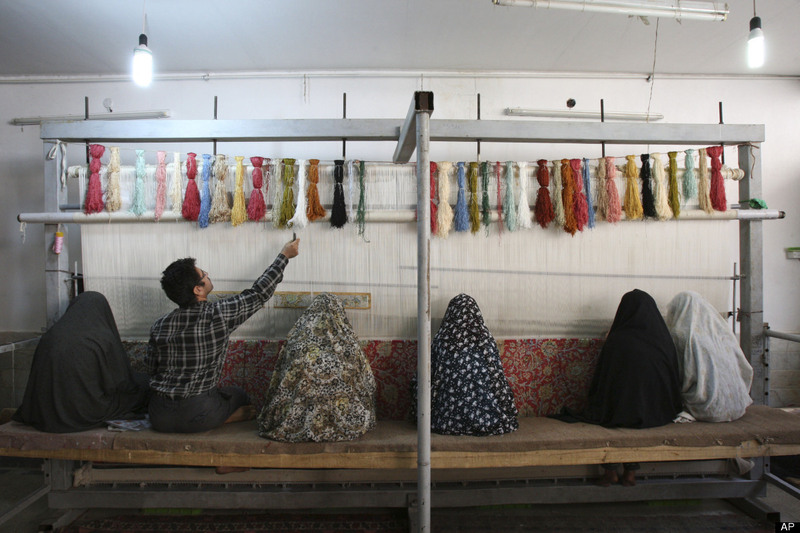 <em>In this Saturday, Nov. 12, 2011 photo, Iranian women and a man weave carpet in a workshop in Qom, 78 miles (125 kilometers) south of the capital Tehran, Iran. (AP Photo/Vahid Salemi)</em><br><br> Initial sanctions were imposed after Iranian students stormed the U.S. embassy and took diplomats hostage in 1979. Iranian products cannot be imported into the United States apart from small gifts, information material, food and some carpets.